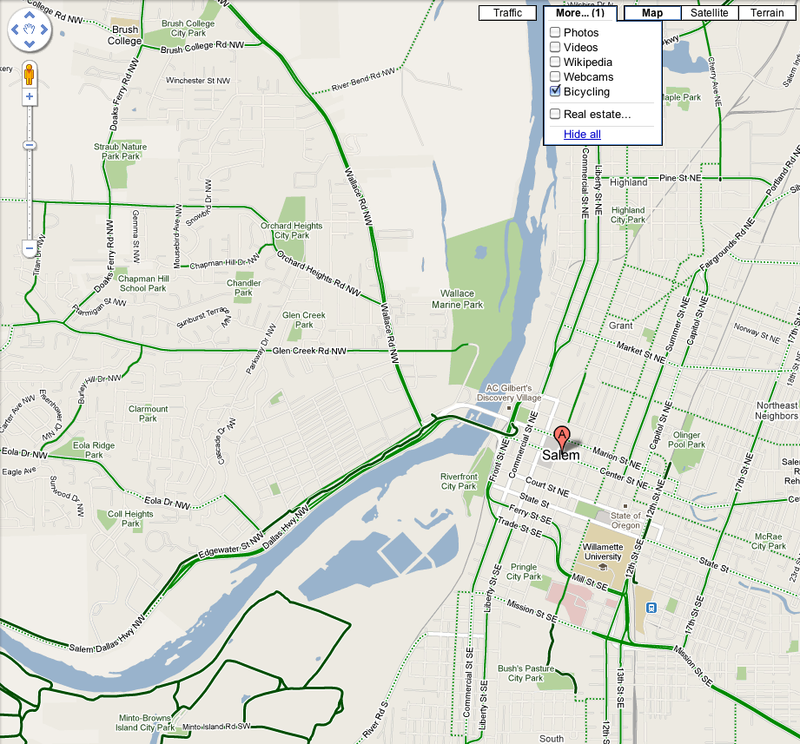 I'm really happy to hear Google launched their support of bikes in their Maps app today. There was talk about how this was in development way back when they launched walking directions and subway map details, and I imagine there had to be a lot of work to bring safer bike lane/street information into a mapping app in a way that can't really be automated. A full city list is at the tail end of this Bike Hugger post. Anil likes to say that when you're a web developer and you're considering adding features to not merely think about the technical aspects, but to think more about the cultural aspects of your decisions. I have high hopes this is potentially a huge cultural change for Americans used to driving 1-3 miles to run small errands around town. Knowing that you could ride a bike safely over a short distance in about the same time it takes to drive and park could get a lot of people exercising more, burning less foreign oil in their gas tanks, and do good for the environment. I can't wait to see this feature spread to more cities. You’re spot on with this post and that’s what it’s about. I expect ride mapping to still thrive this is for “how to do I commute to work on my bike today.” They’re also actively seeking input from the community on the routes. Right now in terms of accuracy, it’s more in ‘proof of concept’ phase. …and folks who drive 2 miles to lift weights. cannot believe those SOBs.